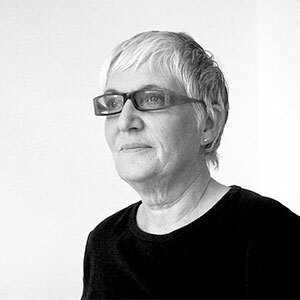 Born in 1945, Anu Moser is a Swedish ceramic artist and specialist in restoring ceramics – a skill she also teaches. Anu Moser has held exhibitions of her ceramic art all over the world. The Moser pendant is the first lamp she has designed. The shape of the glass shade draws inspiration from the drop that hot glass forms when taken from the furnace. The Moser pendant is an extremely honest product, where all the parts – except the light source itself – are clearly visible. The original suspension fitting provides a raw and interesting contrast to the simple, organic shape of the lamp. The Moser pendant is available in three sizes: Ø185, Ø205 and Ø250 mm.